In the Academy justice system, the midshipmen are prosecuted by two separate yet equally important groups: the officers who uncover the crime, and the Superintendant who prosecutes the offenders. These are their stories.  Time heals all wounds, and also softens the scar from receiving the Naval Academy’s mysterious and unsanctioned Black N, turning it into a badge of honor for some. For almost 100 years, this “scarlet” letter for midshipmen of questionable virtue who have racked up more demerits than most has been a bit of a secret. Many notable, albeit miscreant, alumni claim to have them (one was just spotted by an alum sewn to a sweater hanging on a chair at the Pentagon) and a few proud and brave alumni responded to Shipmate’s request for their Black N tales of woe. My father, Rear Admiral Charles B Lanman ‘32 , bragged about his having more Black Ns from frenching out (over the wall) than any of the rest of his class but no recognition was allowed for this in The Lucky Bag! My father told us that he would attend the debutante parties in Washington, DC, during the holiday period between Thanksgiving and New Years. To do this, he would regularly go over the wall. I never got the pure statistics on the number of times he was caught and served his Class A punishment on the Reina Mercedes, but he seemed to be very familiar with the ship when he returned to teach Navigation to the second class from 1939 to 1941. He and his roomate Albert Sidney Major later put a whole battalion of second class on report for midshipmen rowdiness. I received my Black N during my youngster year for giving a first class midshipman officer the raspberry while marching to class. I was the guide-on for my platoon and we were marching down the walkway by Tecumseh singing Army-Navy game fight songs about two weeks before the big game. We were stopped by a midshipman regimental commander and chastised for singing in ranks. As he walked away, our whole platoon let out a loud raspberry. He immediately turned around and stopped the platoon again, saying, “Everyone who did that, raise your hand!” I raised my hand, looked around at the platoon and saw no other hands raised! So, he took my name and said he was writing me up for disrespect to a superior officer. I expected a boatload of demerits, but to my surprise I received a Class A offense notice, reporting personally to the Commandant and the Superintendent. I was told that our class had a reputation of being unruly and therefore I was being given the Class A to put the class on notice. My name and offense were yelled out in the evening meal hour for all to hear. Since my firsties did not think that the offense warranted a Class A, they sent a plebe over to this guy’s room several evenings in a row to call him out for his action. Needless to say, I felt the same way. My punishment was not marching off demerits, but mustering in to the Administration Office every half hour after evening meal until lights out. I had to run from the 4th Battalion quarters to the Administration Office for several weeks. I had to remain at Bancroft Hall at all times other than classes and missed going to the Army-Navy game. When the game was over, I had to ring the bell outside Bancroft Hall every hour until the Brigade came home. My 16th Company classmates awarded me a Black N to wear on my bathrobe. I also received the honor of being the 16th Company Commander for the first and third sets. I am not sure that our Class of 1955 was any more “unruly” that those before us. In fact, we have had some very distinguished graduates from ‘55, I am proud to say! The mysterious Black N, you say? Well, I have two of them, as signified by a Black N with a star on my bathrobe. Mine were awarded for drinking and going over the wall. Actually, my preferred method of escape was to go "around the wall"—the sea wall, that is. Coming back after a night's debauch was another matter. Once I fell in the Severn with my overcoat on. Of course, it got soaked and very heavy. I'm not sure I would have gotten up on shore had not my buddy, Ed Zabrycki ‘56, reached down and pulled me up. My second Class A was at Christmas time my first class year. I had planned on going out in my civvies after bed check—which I did. I had forgotten there was a concert that evening and hence a second bed check. My good buddy Bob Schatz was Mid OW that night and kept delaying his report hoping I'd return. Finally, he had to report that Dolph was missing, and when I did return three sheets to the wind, my wives put me in the shower before sending me up to the Main Office where Commander John Drew, the OW, was waiting for me. He asked me, "Dolph, have you been drinking?" I replied, "I'd rather not answer that, Sir." And no more was said about it. I got my 100 demerits, which gave me 145 (150 was OUT) and I walked on eggs the last six months until my hat went up in the air with the rest on 1 June. All's well that ends well! Those were the good old days … and as a buddy used to say, "Yeah, and the nights weren't bad either!" Second class final exams were finally finished and the Firsties had left for the weekend. Word spread quickly amongst the 12th Company that a party was going down. Bottles appeared from secret stashes and many a toast was made. A fellow classmate suggested we dress up and go into town. Leaving the sanctuary of Mother B, a final snort was put down and Tecumseh was christened with an empty Seagram’s quart bottle. The sojourn into Annapolis and the dock area became a nightmare as the two of us became separated in those dark alleys. After searching for my classmate in vain, I headed back to the Yard. Once back on the grounds and rounding the steps of the Chapel, a female scream pierced the night! I raced to the corner of the Supe’s Garden Wall and there was my classmate. He had been poised on top of the wall waiting for an unsuspecting couple to pass beneath his perch. Another classmate and his drag had just passed by as he leaped from the wall and intercepted them. Off he ran into the night and I chased trying to intercept him before someone discovered us. And wouldn’t you believe we woke up two first class on the fourth deck of the fourth wing serving Class A restriction for drinking! I got caught and was given the challenge to bilge my classmate. I went to my room and hit the sack. A mate on watch woke me with orders to appear in the OD shack pronto. I followed the order and met the OD who questioned my activity. When asked to divulge my companion’s identity, I requested to accept the punishment in lieu of bilging him. I was sent to my room. Eventually they found my companion and he was put on restriction as well. We got our Black N’s together and became the first Second Class in the history of Mother B to be denied the opportunity to attend the Ring Dance! That year the Class of ’62 had contracted a ship to hold the Ring dance in Chesapeake Bay. While our classmates danced the night away, the two of us and our drags held our own Ring Dance in the bushes in Smoke Park; running up to the 5th Wing main Deck every 30 minutes to muster; ah, the good old days. Seems that on Youngster Cruise I didn’t quite have down pat the distinction between duty and liberty. It was on the USS BELKNAP where I earned that dubious Black N. I had duty on a Friday and liberty Saturday and Sunday, but thought I could go to New York City for “personal reasons” Friday at liberty call. They would never miss one more or less midshipman! You guessed it—they missed me and placed me on report for three days for Unauthorized Absence. My best sea lawyer skills could not convince them (actually me) that I was technically only UA one day since I had liberty Saturday and Sunday. They decided to make me a teaching moment and held CO’s Mast on me. It was a grand scene—all the mids mustered to witness punishment. The end result was restriction to the ship for the remainder of the Cruise. When they dropped us off at the seawall, I was told to stand by in a 7th wing room for a meeting with the performance officer. I waited well into the afternoon when I finally met the man and he promptly awarded me 150 demerits and two weeks restriction. He felt “generous” by giving me a choice of starting to serve the two weeks then and there or return from leave two weeks early. Again, my sea lawyer skills failed me when I told him I already restricted for over two weeks on the ship. I chose the latter and returned two weeks early. When I got back mid August, they didn’t know what to do with me. They ended up placing me in the 7th wing (fortuitous since that’s where 14th Company was at the time anyway) and was told to come up with a Batt Office telephone watch bill in support of the football team and not get into trouble. The watch bill worked out to be a few hours every three or four days; the rest of the time we were off ... liberty, civvies, no musters, no car restrictions, etc. Turned out to be a definitely better move than staying right after cruise. Segundo year the classmates in my company ("Lucky 13," the Anchor Company) decided to have a party in town on a Friday night prior to the Notre Dame game. One of the drags in her father's huge American sedan took eight-to-ten of us back to Mother B after the party. The following Monday prior to noon meal formation, our company officer called all us second classmen into his office and said he was getting strong-armed into producing the two that got away. Unless the two escapees stepped forward, he would have to Class A every single second classman in the company. The other Gary and I looked at each other, slightly nodded, and both stepped forward. While my classmates restricted in their rooms the following weekend, I had dispensation from doing so as I was an officer of the Brigade Spanish Club and had a previously-scheduled club dance with the Spanish speakers from Trinity College in DC. I was fully prepared to begin my punishment the subsequent weekend. Well, wouldn't you know during the intervening week, the Brigade was visited by the Amir of Kuwait who, as is the privilege of visiting heads of state to the Academy, gave dispensation to all with outstanding extra duty/restriction hours on the books. So, I received one of the only Black Ns in Navy history in which I literally did not have to restrict one moment! When I was a plebe, I was Class A'd for going over the wall. As I recall, I received 100 demerits. I proudly have what I believe to be a rather unique Black N* because mine was awarded for an offense committed during the Army Navy football game week during a pep rally in Tecumseh Court late at night, chanting, “Beat Army!” Some of our upperclassmen were daring us to go over the wall. Suddenly, the chant changed to “Over the Wall! Over the Wall!” A bunch of us broke away from the pep rally, climbed over the wall and ran around town yelling “Beat Army” at midnight. When our raiding party returned, the Officer of the Day and several of the midshipmen watch section members were waiting. We took off running but I made the mistake of stopping when the Office of the Day yelled “Halt, that is an order!” He asked if I had gone over the wall. I answered yes. The result for obeying the order and answering truthfully: 100 demerits! At least I have a good story to tell. This was at a period in the Academy's history when the first class would put the restricted plebes in the corridors between the wings of Bancroft Hall, close the doors and windows and have us exercise in full dress uniforms and rig rifles (hold them at arms length until your strength gave out) until the windows were covered in moisture and the floors were wet with sweat. Fortunately a few weeks later, the Shah of Iran visited the Academy and reviewed a parade. He honored old traditions and, as a head of state, granted amnesty to offenders and pardoned all of the plebes. My demerits were eliminated. I still wear my Black N with pride on my Naval Academy Bathrobe. My second Class A, which occurred when I was a firsty, was deserved and not as interesting. I earned a firstie Black N and a few quality hours of extra sword practice and remedial drill for serving the needs of my Shipmates for their personalized mugs for their coffee and beer drinking pleasure. Certain activities like selling unique designs and unauthorized USNA Company coffee mugs or beer steins were against Midshipman Regulations. The mugs were an important component of our USNA and Navy community. The designs were “unique” (aka: not politically correct) and not likely going to survive an approval process with an authorized source like the Midshipmen Store. I got caught being the source of the mugs and steins. At the time this activity was a major offense and worthy of the Black N.
Here is a twist ... from 1980-82 I served as the 20th Company Officer so I had to the opportunity to relive my prior decision making when trying to “help” the midshipman under my care as they made similar mistakes. I always smiled when working with them on all their excuses, reasons and stories they used when faced with these fun situations they found themselves in.